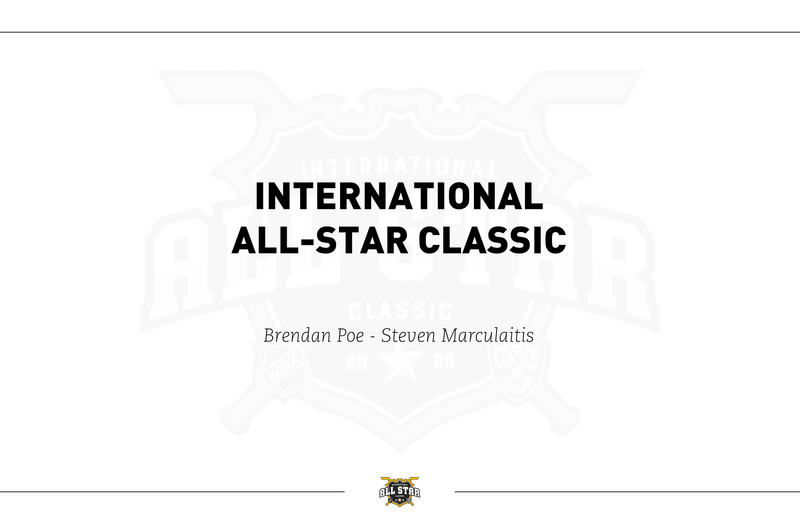 Brendan P. & Steven M.
The title page is good. It's clean and well presented. I would think that a little splash of colour would get it a bit more attention. The location page is presented really well. I really like the choice of font and how everything is really clearly laid out. I would probably give that page a near perfect score. I really like the event logo! I also like how the page explains how the logo came to be. I would have made CLASSIC a bit bigger to take up some of the empty space. 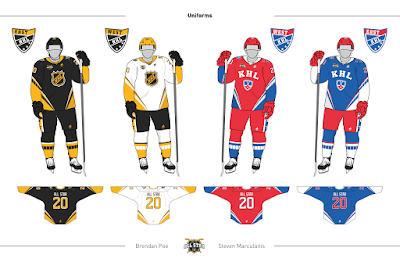 The jerseys are good, as they seems to both be based on Pittsburgh's and Russia's sweaters from the early 2000s. Nice job showing us the back along with a full player presentation. 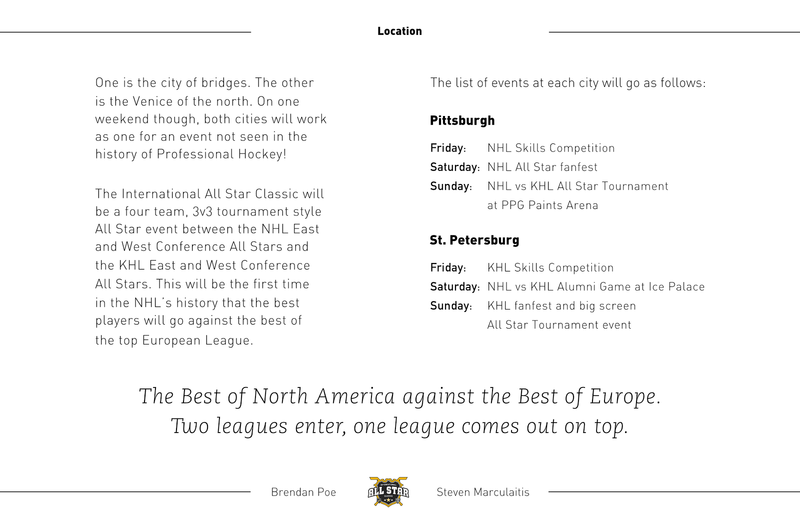 Nice use of the wildcard page. As a traditionalist, I am loving the jerseys! Overall this is the best presentation so far, in my opinion anyways. But what's your opinion? How did Brendan and Steven do? Let them know in the comments. The title page could use some work, but this is my favorite presentation so far! 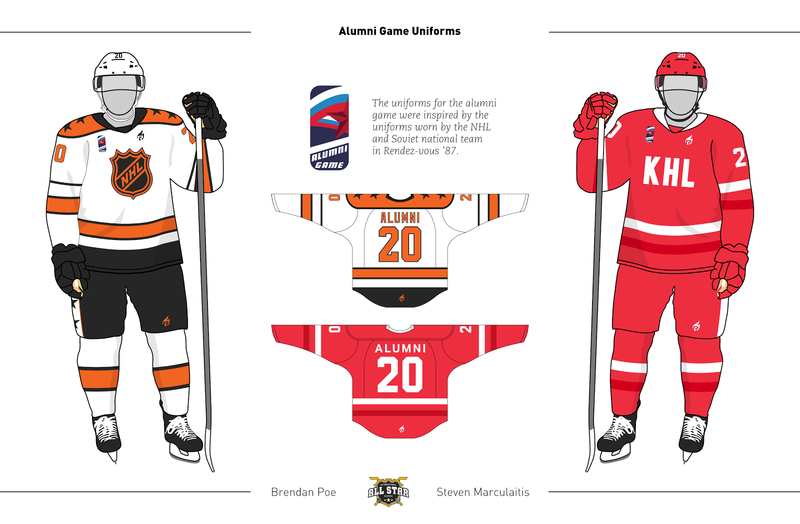 The logos, uniforms, and templates look really nice! This presentation absolutely rocks. I love the idea, jerseys, logos, and presentation. 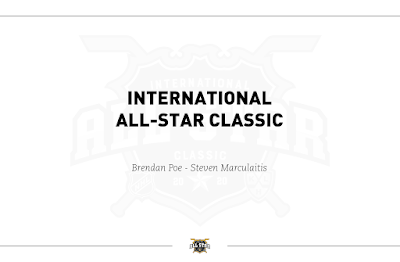 The only thing I'm not a fan of is the name "International All-Star Classic"... really the only thing I don't like is the "Classic" part of it. 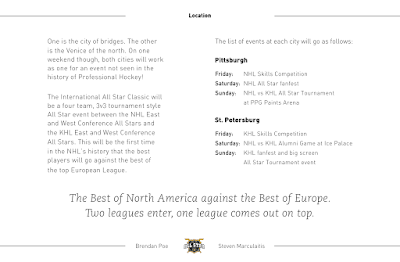 Its a brand new event, and its not played outside like a Winter Classic, so it just seems weird somehow. If you were to use Classic though, it should maybe be in bigger text on the logo. All that aside, this is probably the presentation to beat so far!